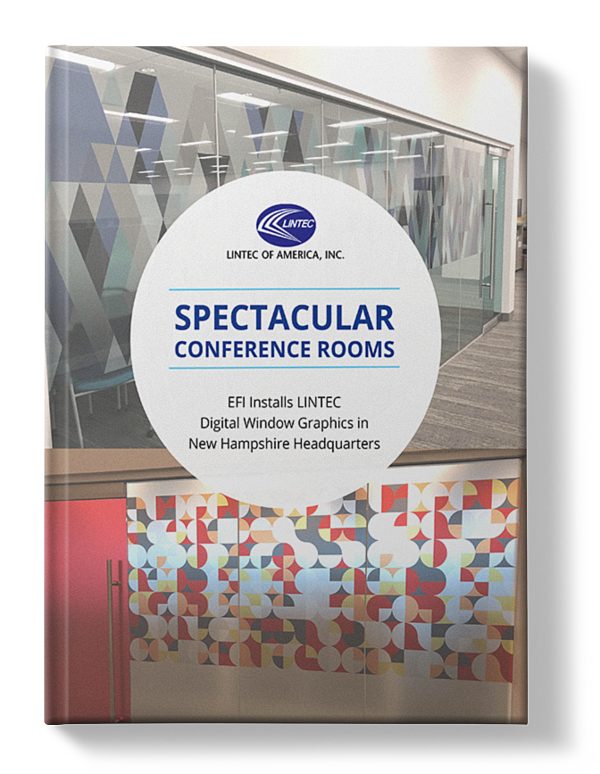 When EFI’s Vutek division moved their headquarters to a 300,000-square-foot facility in Londonderry, New Hampshire, they needed to add privacy and style to both their workstations and their conference rooms. To achieve their goals, they turned to LINTEC of America’s scratch resistant, optically clear film, a print service provider they trusted, and a qualified installer. In this case study, you’ll learn how EFI’s vision came to life.